betty's café tea rooms, york. if you're ever looking for a place to add you your tearoom to-do list, betty's needs to go straight to the top. established in 1919, betty's really is the pinnacle of traditional tea rooms, serving the likes of afternoon tea, light lunches, lovingly made cakes and an extensive loose leaf tea and coffee selection. if you hadn't already guessed it from my love of pistachio ice cream, overuse of green food colouring and recent new retro blender in a gorgeous shade of mint, i am quite partial to the colour green. 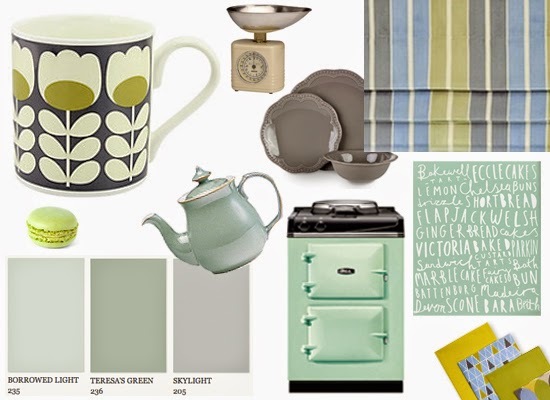 when i saw that argos were running a colour campaign competition i thought, why not? fancy tucking into a legendary washington dc chilli bowl after a day at the white house? how about a cheese steak sandwich in its home of philadelphia? or why not conquer a classic american hot dog after touring the river trail of north carolina? with a mouthwatering menu of american foodie hotspots teamed with a tour of twelve american states, trek vs. food might just be for you. white chocolate éclairs with salted caramel drizzle. isn't bake off season just a nightmare for when you're trying to be good? no way am i on a diet but the amount i've been baking lately is getting out of hand. i even tried princess cake at a swedish bakery this week! (eating by the way, no way did i manage to make that heavenly thing). so minutes after the gbbo pastry episode was over, i was googling choux pastry and found an éclair recipe from paul hollywood himself. just a classic chocolate éclair recipe, i halved the ingredients to yield 6 and added white chocolate and salted caramel sauce. deeeeelish if i say so myself! cardamom and coconut french toast + george foreman giveaway. i think i've had a craving for french toast ever since i didn't get to a chance to go to le schmuck in paris earlier this year. the idea of sweet crunchy bread with a hint of spice and a dollop of good quality ice cream sounds like a dessert i would devour in seconds. i just hadn't really considered that i could make it myself. enter the new style george foreman, which i was kindly gifted to try out. at first i thought oh yes i've heard you can do all sorts of healthy grilling recipes on these. then i read the recipe book and saw french toast. sorry heathy eating, the naughty side of gastronomy wins this time. the modern pantry, clerkenwell, london. set in the lovely and leafy area of clerkenwell, you wouldn't think you were just a tube stop away from king's cross upon walking up to the modern pantry. the beautiful brickwork, flower boxes and pastel paintwork instantly had me captivated. i was hungry, verging on hangry, and i had a busy train to catch in an hour, but just for a little while i was calmed by the friendly tables and chairs, quaint rows of pastries and subtle scent of coffee swirling through the air. celery and stilton soup with the tefal cook4me. the new tefal cook4me is a pretty comprehensive piece of kit for your kitchen. an all-encompassing slow cooker, steamer, rice cooker and soup maker, the lcd multicooker promises to be a wizard in your kitchen so you don't have to be. coming with 50 pre-programmed recipes, i was sent the new appliance to give one or two of them a go myself. would this be the end of my food blogging journey? would the next 50 blog posts be picture of this little fella, with no other input from my fair (ish) hands? soup is something i make rarely and should really try more often. i always do a pumpkin soup at halloween, once went through a mushroom soup phase and recently made a leftover veggie one from the contents of my salad drawer. this celery and stilton recipe jumped out at me as a good place to start, plus it said it only took 10 minutes. win win. sushi cupcakes with green tea buttercream. Switching sashimi for sponge, seafood for sweets and chopsticks for chocolate are these sushi inspired cupcakes. Incorporating a Japanese inspired lemon sponge base and green tea buttercream topping, I had a go at making tiny sushi toppers made from fondant icing, marshmallows and any sweeties that reminded me of a California roll filling. a few weekends ago i headed to london for a foodie weekend, which featured a long overdue trip to sticks n sushi after a day out at feast foodies festival. travelling down to london on friday night, i had to find somewhere near st pancras for a light bite to eat and catch up over a bottle of wine. camino ticked all the boxes; round the corner from kings cross, a well stocked bar and a tasty looking spanish menu. but how would it stack up? when life gives you plums, make plum jam. or rather, when i went over to my dad's for his birthday and he handed over a bucket of approximately 2.5kg of wild plums from his garden, it was probably a good time to learn how. i found this rather fantastic flexible jam recipe and as suggested, adapted it to suit me with a sprinkle of ginger for good measure. 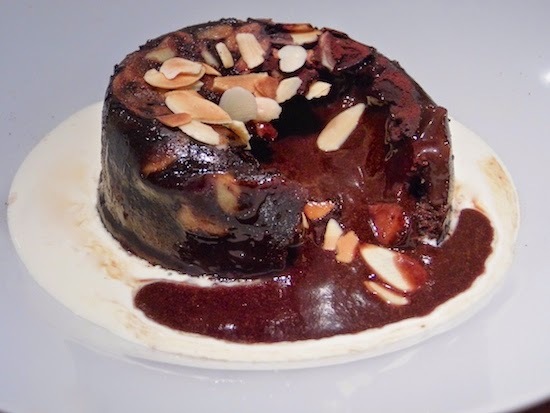 chocolate and salted caramel molten puddings from the great british bake off. with a sweet tooth like mine, you can't help being excited for bake off dessert week. although i'm still not sure i understand the theme, as everything sweet and baked is a dessert to me! so after my attempt at florentines from biscuit week, i had a go at a self saucing dessert. you'll have to forgive me on being late on the scene, my oven broke this week so all baking had been put on hold... until now! i'm really rooting for kate this year and loved her chocolate and salted caramel molten puddings. so armed with ice cube trays of caramel, a strong whisking arm and a lot more time on my hands than in the baking tent of doom, i set about these saucy puds. salmon tortellini in parsley pesto. the latest of my pasta adventures involved my love of salmon, attempts at tiny tortellini and a pesto adapted for seafood with a hint of parsley. i love making homemade pasta when i've got a spare weekend afternoon as i find it very therapeutic to make and then of course you have a lovely weekend meal at the end of it. drawing inspiration from japanese and danish cuisine, sticks n sushi is the perfect restaurant for sushi lovers and sushi doubters alike. following the simple concept of, quite literally, sticks and sushi, the menu is a mix of traditional sushi and grilled yakitori sticks with a few salads and sides thrown in. this could be anything from carefully crafted rainbow rolls and fresh tuna tartare to glistening miso marinated black cod and grilled king oyster mushrooms in herb butter.